How can you go wrong with almost zero carb wraps!? You can’t! Enjoy this tasty twist that will leave your tastebuds oh-so-happy! In under 30 minutes you can prep and be eating these “wraps” filled with any of your favorite keto-friendly ingredients! <h4><p style="color: rgba(20, 117, 135, 1)">Remove Flour Insert Pork Rinds</p></h4> Standard wheat flour is a no-no on keto, so finding replacements for our favorite recipes is a must. Enter the delicious pork rind! With no carbs, and a high protein content, they are perfect for creating flourless wraps. 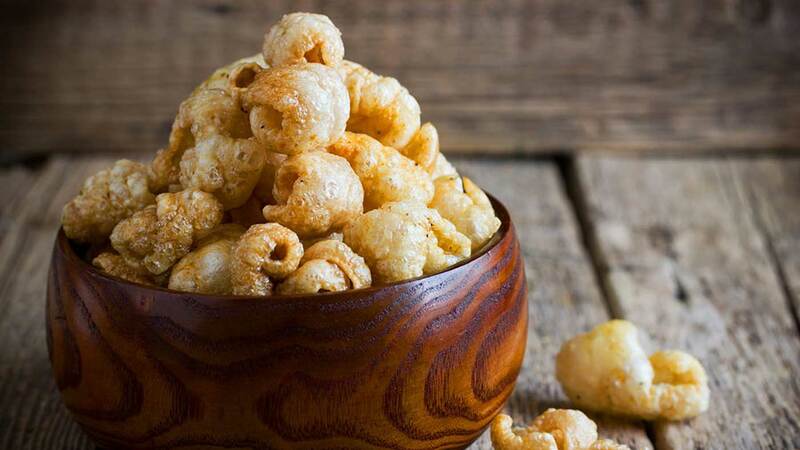 Are pork rinds Keto Diet approved? You bet! However, not all brands are created equal. When buying pork rinds, it’s important to check the label. 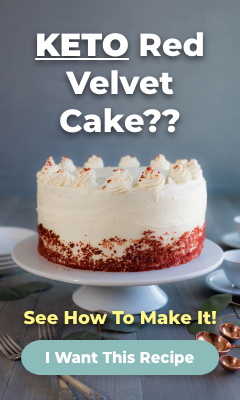 Many of the flavored varieties contain not-so-keto-friendly ingredients. Avoid purchasing pork rinds with wheat or soy flour, sugar, MSG, and the worst of all—maltodextrin. <h4><p style="color: rgba(20, 117, 135, 1)">Protein Powerpack</p></h4> The use of eggs in this recipe guarantee it’s packed with protein. With each wrap boasting 10 grams of the powerful macronutrient! Eggs aren’t a popular dietary staple for their versatility and taste alone—although those traits certainly help—ggs are also very healthy. Some people even refer to them as the original superfood. In a single egg, you’ll find a staggering number of vitamins and minerals that help your body function to the best of its ability. Eggs contain a known chemical compound called choline. Choline is integral to keeping brain cells healthy. Specifically by strengthening their membranes and helping them keep their structure. <h4><p style="color: rgba(20, 117, 135, 1)"> Almost Zero Carb Low Carb Wraps</p></h4> <h5>Prep Time: 8 mins | Cook Time: 20 mins | Makes: 12 Wraps</h5> <h5><p style="color: rgba(20, 117, 135, 1)">Ingredients:</p></h5> * 4 ounces plain pork rinds, crushed * ⅛ teaspoon baking soda * ¼ teaspoon salt, optional * 4 ounces cream cheese, softened * 6 large, cold eggs*** * ½ cup water <h5><p style="color: rgba(20, 117, 135, 1)">Instructions:</p></h5> Food Processor Method: 1. Place the pork rinds in a food processor and blend until they become a fine powder. 2. Add the baking soda and salt then give it a little pulse to mix. Add the eggs and cheese and process until smooth and thick. 3. Add the water and blend until all the ingredients are completely incorporated. 4. Pour into a bowl and let sit for 5-10 minutes until the batter thickens to the consistency of cream of wheat. Hand Mixer Method: 1. Put the pork rinds into a large ziploc bag and crush in batches with a rolling pin or the smooth side of a meat mallet. They should be completely pulverized into a powder. 2. Place the pulverized pork rinds into a medium bowl and stir in the baking soda and salt. 3. In a smaller bowl, blend the cream cheese with one egg until combined and smooth. Add another egg and mix. 4. Add the egg and cheese mixture to the pork rind crumbs. Then add the rest of the eggs. Blend with hand mixer until smooth. 5. Add the water and mix until thoroughly combined. Let the batter sit for 5-10 minutes until it thickens to the consistency of cream of wheat. Next: 1. Preheat a pancake griddle over medium heat. When hot, oil the griddle and then gently wipe-off the excess with a paper towel or spray with cooking spray. 2. Using a 1/4 cup measure, pour the batter onto the skillet and spread into a 5 inch circle with the back of a spoon. Make it as thin as possible. You can dip the spoon in water to prevent it from sticking to the batter. 3. Cook like you would a pancake. NOTE: You will need to thin the batter as it sits. Having a cup of water nearby helps. Add 1 tablespoon at a time as needed. 4. Keep in the refrigerator up to a week or freeze with a piece of waxed paper between each wrap. ***If this recipe is too eggy for you the first time you make it, try using 3 whole eggs, 3 egg whites, and 3 tablespoons of oil.